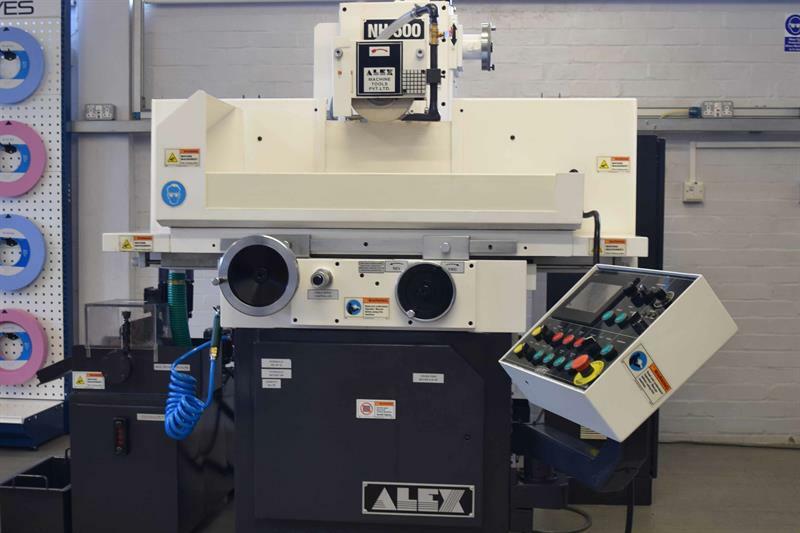 ​Master Abrasives has installed an Alex Machine Tools’ NH-500 surface grinding machine at its showroom in Daventry. Alex offers a comprehensive range of surface grinding machines, including a reciprocating hydraulically-operated machine, a high power rotary surface grinder, creep-feed machines and a range of precision double-disk grinders. The machines take in technology such as computer numerical controls, automatic in-process gauging and other material handling automation, depending on application and requirements. Martin Stevens, Master Abrasives’ applications engineer of grinding machines & abrasives, is fully conversant with the latest developments at Alex Machine Tools. With a background in grinding applications engineering, he has the technical expertise to help customers and offer best solutions for their precision grinding applications.